Writing and publishing today…what’s honest and true? Hemingway would say we learn “what is honest and true” by the doing of it. Of course, reading is good…isn’t it, Ernest? As a writer, I try to immerse myself in what’s new. Being current is important, but it can be a dizzying pursuit these days. Amid all the various presentations, there were a few important insights…showing definite changes to the publishing landscape. You can believe them, or you can fight them…your choice…but they carry a strong measure of truth. Here are the highlights. – Thanks to digital technology, there are more authors than ever…more content…more books being published…good news for authors! – 90 % of all books (traditional and self-published) sell under 1,000 copies. The “honest” truth is the number of “sales” is the ultimate measure of success…if we’re writing to reach readers. – The big news is self-publishing now stands on its own feet and competes head-to-head with traditional publishing. This is a sea change from only a year ago. – “Supported Self-publishing” has emerged as a new growth industry, assisting the author with all those nitty-gritty things they hate (digital coding, ISBN’s, barcodes, layout, design, printing, E-books, marketing, and distribution), including services once performed only by traditional publishers. – The role of the agent is changing…but not disappearing. – Authors can control, for the first time, editing, design, printing, marketing and distribution. – Legitimacy of “self-publishing” has arrived and is permanent. – Self-publishing can be much more lucrative to authors than the 85% taken by traditional publishers. – Traditional publishers, once “the gatekeepers” of “good writing,” aren’t keeping pace with technological change. Good writing is being published everywhere, in new formats, digitally and in print. The “dinosaur theory” is knocking at the door of the big publishers. – Is traditional genre fiction dying? The boundaries between genres (mystery, thriller, romance, paranormal, sci-fi, etc.) are rapidly combining or merging into “mainstream.” A new mixture of “high impact fiction” and “literary” writing is enduring on the best seller lists. – The value of good writing is more important today than ever, as the marketplace floods with more books. Readers will search for the best. 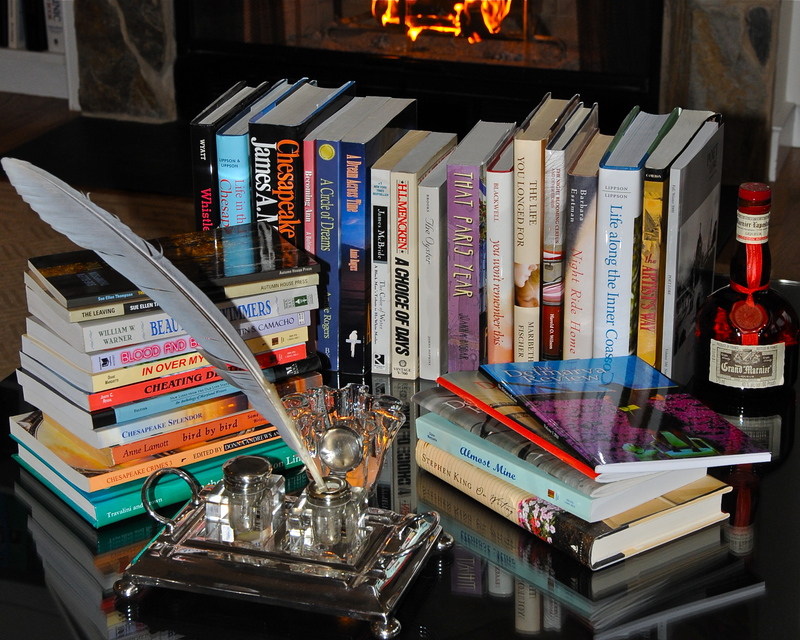 And finally…for better or worse…the most profitable market for writers is writers. These are writers who sell “how-to-do-it” advice to other aspiring writers. Wading through the quagmire to find the grains of truth can be painful, especially with technological advances and search tools. Buyer beware. As with all books, a few are good, and still fewer are great. Thank you for the comment, Catherine. What device were you using to access my WordPress blog (computer, tablet, or phone)? This is the first I’ve heard of scrolling issues with the blog, and I’d like to address the issue with WordPress. Thank you, again. It’s amazing for me to stop and think about how self-publishing has changed since I started as a “book producer” in 1998. Then, authors ordered 2000 copies of their books. One time, books were shipped from IL to FL and the printer had made an error on the cover. All the books were picked up, taken back to IL, covers ripped off and replaced, and shipped back to FL. The only economical way to obtain a hardcover coffee table book was to have it shipped from a printer in Hong Kong. Shipping logistics, reviewing big, four-color proof sheets, and sending everything that needed scanned out to a service bureau was routine. Heck, we didn’t even send PDFs then to print, but the application files. Prior to that I worked for a publisher who still used paste-up. Now, things have evolved and progressed, but the bottom line is the same: The book has to be well-written, well-designed, and of value to the reader. It must also be easy to obtain and at a price that makes sense for reader and publisher. There were so many hurdles in self-publishing back then, as far as distribution and marketing, and I would suggest to my clients to “get as close to the potential reader as you can.” With the dawn of social marketing and now into its mid-day, I would guess, it is easier than ever to connect with potential readers. The gatekeepers are changing. The gates are redefined. My days of arguing with Barnes and Noble are over. I don’t need them any longer. Hooray for the indie bookstores that have survived! Hooray for the writers who write because they love it and reach for excellence because they know it is worth the extra time and work involved. Hooray to those developers who have created this technology and the companies that launched these avenues to publication. I think it is a great time to be a writer.